More than 260 intellectuals and political activists have signed an open letter to the UN Secretary General, Ban Ki Moon, on the political situation in Iran. The letter is published in Boston Review - September/October 2009. 6) Refuse to recognize Ahmadinejad’s illegitimate government that has staged an electoral coup, and curtailing any and all forms of cooperation with it from all nations and international organizations." Conference at NYU on "Rethinking Secularism"
Why Judaism is not Zionism: Religious Sources for the Critique of Violence. Why We Need a Radical Redefinition of Secularism. Prophetic Religion and The Future of Capitalist Civilization. Update 29/9: Event release here. The conference is arranged by The Institute for Public Knowledge. Conference on Dworkin's "Justice for Hedgehogs"
Boston University School of Law will hold a conference on Ronald Dworkin’s forthcoming book, Justice for Hedgehogs, on September 25-26, 2009. Dworkin himself will give the keynote address and give a response. In "Justice for Hedgehogs", Dworkin defends the unity of value – the one big thing he knows – and argues against “several foxy causes”: value skepticism, value pluralism, value conflict, and, in particular, the supposed opposition between the values of self-interest and those of personal and political morality. He argues for the integration of ethics (the principles that tell human beings how to live well) and morality (the principles that tell them how they must treat other people), and for a morality of self-affirmation as against a morality of self-abnegation. In doing so, he develops accounts of the indispensable conditions of living well – dignity, self-respect, and authenticity – and of our moral duties to others regarding aid and harm. He also argues that law is a branch of political morality that is in turn a department of morality more broadly understood. The opening panel will assess Dworkin’s arguments for truth about value and against various forms of skepticism, including his rejection of Archimedean and meta-ethical attempts to address questions of ethics, morality, and justice from a standpoint outside of our ordinary ways of thinking about them. This panel will respond to Dworkin’s arguments that interpretation in general seeks truth and that moral reasoning and legal interpretation are enterprises involving conceptual interpretation as distinguished from collaborative and explanatory interpretation. Herein of Dworkin’s arguments concerning the indispensable conditions of living well – dignity, self-respect, and authenticity – along with his response to the “no free will” challenge to ethical and moral responsibility. The issues to be considered include Dworkin’s arguments of substantive morality concerning duty, harm, and obligation, including associative and political obligation. These two panels will take up Dworkin’s arguments about political morality, including his account of political, legal, and human rights; his interpretive conceptions of equality, liberty, and democracy; and his argument about the relationship between law and morals. 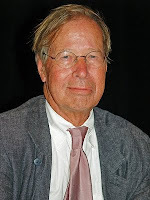 Ronald Dworkin's book will be published by Harvard University Press later this year. "Justice for Hedgehogs" was also the title of Ronald Dworkin's John Dewey Lectures at Columbia University in the autumn of 1998. Various drafts have circulated. Excerpts are available here (synopsis + chapter 10-11), here (chapter 2+4) and here (chapter 14 and 20). The strange title of Dworkin's book refers to an essay by Isaiah Berlin, entitled "The Hedgehog and the Fox. An Essay on Tolstoy’s View of History" (1953) (online here). In this essay Berlin divides writers into two categories: "Hedgehogs", who view the world through the lens of a single, universal, organising principle, and "foxes", who draw on a wide variety of experiences and pursue many ends, often unrelated. The distinction is based on an aphorism by the ancient Greek poet Archilochus: "The fox knows many things, but the hedgehog knows one big thing." "Der Gast ist immer Mitbürger"
Wo müsste eine Grundsatzkritik heute ansetzen? "Bei der unzureichenden Demokratisierung und dem unzureichenden Mentalitätswandel in der deutschen Gesellschaft. Es wird der Anschein erweckt, man komme hier mit dem Begriff einer multikulturellen, liberalen Demokratie zurecht. Daran glaube ich nicht. So ist in der öffentlichen Debatte etwa stets von dem "jüdisch-christlichen Erbe" die Rede. Aber das jüdische Erbe ist nicht so präsent, wie gemeinhin behauptet wird. Außerdem gibt es in Deutschland immer noch das Problem, dass der Islam beziehungsweise Menschen muslimischen Glaubens als "anders“ empfunden werden. Der Multikulturalismusdiskurs ist hier eher instrumentell: Es wird eingesehen, dass für die globale, kapitalistische Entwicklung bestimmte Bevölkerungsgruppen wie Wissenschaftler und Ingenieure aus Indien gefördert werden sollten. Das ist eine instrumentelle Attitüde, keine Grundhaltung." On September 25, Seyla Benhabib receives the Ernst Bloch Prize 2009 in Ludwigshafen. 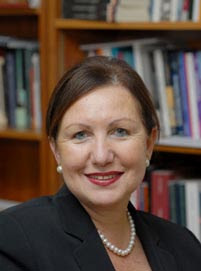 Seyla Benhabib is professor of political science and philosophy at Yale University. The American Political Science Association (APSA) has announced that Jürgen Habermas and Kenneth J. Arrow jointly will receive the Benjamin E. Lippincott Award in recognition of "work of exceptional quality by a living political theorist that is still considered significant after a time span of at least 15 years since the original publication". The award is presented every two years. It is supported by the University of Minnesota. The award will be presented at the 105th APSA Annual Meeting in Toronto, Canada, on September 3, 2009. Amartya Sen has made deep and lasting contributions to the academic disciplines of economics, philosophy, and the social sciences more broadly. He has engaged in policy dialogue and public debate, advancing the cause of a human development focused policy agenda, and a tolerant and democratic polity. This argumentative Indian has made the case for the poorest of the poor, and for plurality in cultural perspective. It is not surprising that he has won the highest awards, ranging from the Nobel Prize in Economics to the Bharat Ratna, India's highest civilian honor. This public recognition has gone hand in hand with the affection and admiration that Amartya's friends and students hold for him. The two volumes contents 58 essays, written in honor of his 75th birthday by his students and peers, covers the range of contributions that Sen has made to knowledge. They are written by some of the world's leading economists, philosophers and social scientists, and address topics such as ethics, welfare economics, poverty, gender, human development, society and politics. The first volume covers the topics of Ethics, Normative Economics and Welfare; Agency, Aggregation and Social Choice; Poverty, Capabilities and Measurement; and Identity, Collective Action and Public Economics. The second volume covers the topics of Human Development and Capabilities; Gender and Household; Growth, Poverty and Policy; and Society, Politics and History. In their article, Paya and Ghaneirad discuss Habermas's impact on various groups of intellectuals in Iran, including religious intellectuals such as Abdolkarim Soroush, Hadi Khaniki and Hamid Reza Jalaeepur. "In recent years, growing attention to Habermas’ views is being observed in intellectual spheres inside and outside academia in Iran. The number of articles on Habermas’ ideas in popular printed media as well as the academic journals has been on the increase. Such an increase is particularly more visible during the period of flourishing the Reform Movement in Iran which mostly coincided with the two terms of the Presidency of Mr. Khatami (1997–2005)." "Some of the religious reformists have found Habermas’ ideas on dialogue close to the idea of ‘dialogue among civilizations’ proposed by President Khatami. The idea of dialogue has also offered them an effective means to critically assess the Islamic system and its achievements, to criticize the West and capitalism, and to seek better ways for improving the socio-political situation in the Iranian society." "Some of the Iranian intellectuals, mostly with left-wing tendencies, have used Habermas to criticize Modernity. 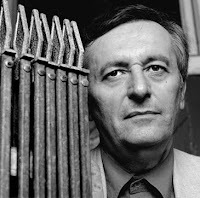 However, in the process, they have moved away from Habermas’ ideas and have been attracted to postmodern writers such as Foucault, Lyotard, and Derrida. (.....) While making use of Habermas’ views, these intellectuals turned a blind eye towards his new liberal tendencies and kept portraying him as a radical leftwing critic of the West and America and pursued their own political agenda, based on such a misrepresentation." "Governmental institutions have played a major role in promoting the ideas of the German thinker among the Iranian public. This in itself is a significant evidence for the fact that in developing countries like Iran, the state, in a perhaps ironic way, plays a substantial role in consolidating the mechanisms of a flourishing civil society. (.....) It should also be emphasized that only a state with a modern outlook and agenda, or at least a state that strives towards such standards, would be able to empower civil society, and this has been the case during the two terms when Mr. Khatami held presidential office in Iran." Ali Paya is currently Visting Professor at the Center for the Study of Democracy, University of Westminster, London. On his web site you can find online articles on Islamic democracy and Islamic civil society. "I noted earlier that publication of Rawls's senior thesis and "On My Religion" may gain Rawls a more sympathetic reading among religious ethicists because these writings dispel the impression that Rawls was hostile to or uninformed about religion. Rawls's liberalism is also criticized, in religious quarters and elsewhere, for being objectionably individualist. If what I have said here about his driving concerns is right, then the thesis puts a great deal of pressure on those who press this objection. Rawls always held that we have a social nature which can be expressed only in a community in which no one is moved by what "A Brief Inquiry" refers to as a "perverse desire for height". The common assertions that Rawls denies our natural sociality, and that Rawlsian citizens would lack a robust concern for common goods, cannot withstand a careful reading of Rawls's mature writings. Publication of Rawls's senior thesis shows that these charges also distort views he held from his earliest foray into social philosophy." Paul Weithman is professor of philosophy at the University of Notre Dame, Indiana. In 2002 he published Religion and the Obligations of Citizenship (Cambridge University Press). Is a Smarter World a Better World? John Gray praises Amartya Sen for debunking the idea that justice requires the acceptance of universal principles - but disagrees that rationality will always find the right course. "Much of the book is a critique of the work of the late twentieth-century American liberal philosopher John Rawls. (...) In showing why those who pursue justice do not need an ideal of a perfectly just society, only a view about what would make the world a more just place, "The Idea of Justice" deserves to be acclaimed as a major advance in contemporary thinking. If the book succeeds in debunking rationalistic philosophies that claim to formulate principles of justice that everyone must accept, it still asks a great deal of reason - more, in fact, than reason can give. It is one thing to accept that the demands of justice are plural, another to recognise that they can be rivals - and not only in the sense that they must be ranked on a scale of comparative urgency because they cannot all be realised at the same time. In actual conflicts justice and injustice are not always as distinct and opposed as they seem in the seminar room. Quite often they are closely intertwined, sometimes in morally horrendous ways." "A smarter world might be more fun. There is little reason to think it would be less conflict-ridden, or more just." John Gray's latest book is "Black Mass: Apocalyptic Religion and the Death of Utopia" (Allen Lane, 2007). Highly recommended! In spring 2009 came "Gray's Anatomy. Selected Writings" (Allen Lane, 2009). 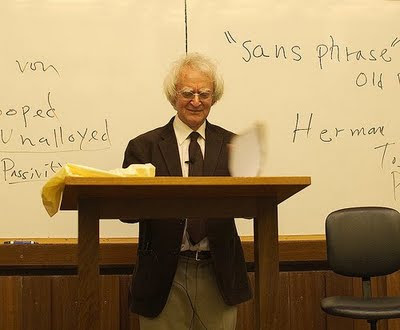 This fall, Jürgen Habermas will be teaching at The Department of Philosophy at Stony Brook University (see my previous post). Habermas will give a graduate seminar: "From Political Theology to the Political Philosophy of Religion." Course description: "This seminar will begin with a systematic comparison of two great German figures in first half of the last century, Leo Strauss and Carl Schmitt. Both stand for polar positions, one putting Classical Antiquity against monotheism, the other defending a return to a pre-Hobbesian Catholicism. Then we will engage the work of two important theologians, each representing different version of political theology, from the theological camp: Gustavo Gutierrez and Johann Baptist Metz. These comparisons then will be juxtaposed to recent discussions in the United States about public role of religion, especially as it is taken up in the work of Wolterstorff. The seminar, thus, moves from political theology formulated from without theology, to political theology formulated from within, to then conclude with a political philosophical analysis of religion in the public sphere that is agnostic and abstemious about theological claims." "From Worldviews to the Lifeworld: On the Genealogy of a Concept"
Jürgen Habermas: "On the Concept of Human Dignity and the Realist Utopia of Human Rights." See Habermas's website at NYU: here. From Iran: Habermas and the "conspirators"
Mohsen Kadivar and Mohammad Mojtahed Shabestari have now published responses to the accusations from the Iranian regime that their meeting with Jürgen Habermas in 2002 in Iran was part of a plan to spread secularism in the country. The accusations were made by the prosecutor at the opening of the mass trial against 100 political activists and protesters on August 1, 2009 (see my previous post on the case here). The prosecutor said that when Habermas traveled to Iran, there was a confidential meeting at the home of Mohsen Kadivar. It was attended by Mohammad Mojtahed Shabestari and Saeed Hajjarian. Mohammad Mojtahed Shabestari has published his response on the Iranian website ayandenews.com. The German newspaper "Frankfurter Rundschau" brings today a German translation of his statement: Habermas und die "Verschwörer". In his response Mohammad Mojtahed Shabestari says that the meeting with Habermas was not confidential. It was arranged on the wish of Habermas, who would like to talk with non-orthodox religious people ("einige religiöse Neudenker des Iran"). The meeting was not about secularisation of Iran. At the meeting they told Habermas that they were critical towards both modernity and the ideology and practice of the regime in Iran, and that they did not wish that the Western culture should take possession of Iran. Shabestari ends his statement by saying: "Ich schreibe das nicht, um mich gegen einen Tatvorwurf zu verteidigen. Auch wenn auf jener Sitzung über die Entwicklung der Säkularisierung im Iran gesprochen worden wäre, wäre es kein Vergehen gewesen. Intellektuell Interessierte dürfen sich über jeden Gegenstand austauschen und einen Dialog führen". Politically, as well as philosophically, concerns with human rights have permeated many of the most important debates on social justice worldwide for fully a half-century. Henry Shue's 1980 book on "Basic Rights" proved to be a pioneering contribution to those debates, and one that continues to elicit both critical and constructive comment. Global Basic Rights brings together many of the most influential contemporary writers in political philosophy and international relations to explore some of the most challenging theoretical and practical questions that Shue's work provokes. These range from the question of the responsibilities of the global rich to redress severe poverty to the permissibility of using torture to gain information to fight international terrorism. The contributors explore the continuing value of the idea of "basic rights" in understanding moral challenges as diverse as child labor and global climate change. 3: Andrew Hurrell: Another Turn of the Wheel? 4: Judith Lichtenberg: Are There Any Basic Rights? Economist and philosopher Amartya Sen is in India promoting his new book "The Idea Of Justice" (Harvard University Press, 2009). Michael Reder - How Far Can Faith and Reason Be Distinguished? The two contributions by Habermas are not adding much to what Habermas has published elsewhere, but his essay includes a short critique of Pope Benedict XVI's 2006 Regensburg address. The most recent essay by Habermas on religion is "What is Meant by a Post-Secular Society?" in his book "Europe. The Faltering Project" (Polity Press, 2009) pp. 59-77.
Review of Amartya Sen's "The Idea of Justice"
"Rawls held that social justice depended on having just institutions, whereas Mr Sen thinks that good social outcomes are what matter. Strictly both could be right. The practical brunt of Mr Sen’s criticism, however, is that just institutions do not ensure social justice. You can, in addition, recognise social injustices without knowing how a perfectly fair society would arrange or justify itself. Rawlsianism, though laudable in spirit, is too theoretical, and has distracted political philosophers from corrigible ills in the actual world." Professor Sen's "hero is Adam Smith: not the Smith of free-market legend, but the father of political economy who grasped the force of moral constraint and the value of sociability. To encapsulate the shift in attitude that Mr Sen has sought to bring about, ethics and economics are to be seen as Smith saw them: not two subjects, but one." "Mr Sen ends, suitably, with democracy. It can take many institutional forms, he says. But none succeeds without open debate about values and principles. To that vital element in public reason, as he calls it, “The Idea of Justice” is a contribution of the highest rank." I am sorry to report that the great British philosopher Gerald Allan Cohen died this morning, after a massive stroke yesterday. G. A. Cohen was Emeritus Professor of Social & Political Theory at All Souls College, Oxford University. See my post on the conference held in honor of G. A. Cohen in January 2009. The conference is available as podcasts and you can in Cohen's closing comments, hear him read some of his favourite poems. Saturday August 1, the Iranian authorities opened an mass trial against more than 100 political activists and protesters, accusing them of rioting and conspiring to topple the government in the turmoil surrounding Iran's presidential election. According to a report in the independent online news magazine "Tehran Bureau", the prosecutor mentioned Jürgen Habermas's visit to Iran in 2002 in his opening statement. The Iranian regime sees the visit as part of a plan of spreading secularism in Iran. The prosecutor then accused the Center for Strategic Studies [an organ that was established by the office of the president after the Iran-Iraq war] of developing the theoretical framework for secularism during the Khatami administration. The prosecutor claimed that in an analysis prepared by Dr. Mohammad Reza Tajik of the Center and presented to Mr. Khatami, it was stated that, “In the near future no one can resist secularism, and we must also accept this fate of humanity.” The prosecutor claimed that Dr. Tajik is a member of the central committee of the Islamic Iran Participation Front [Iran’s largest political group and the most important reformist party], but he is not a member, let alone a member of the central committee. According to the prosecutor, inviting Jürgen Habermas [the German philosopher and sociologist] to visit Iran in 2002 was done with this purpose in mind [spreading secularism in Iran]. The prosecutor said that when Habermas traveled to Iran, there was a confidential meeting at the home of [Dr.] Mohsen Kadivar [the distinguished Islamic scholar who is currently residing in the U.S.]. It was attended by [Dr.] Saeed Hajjarian and [Dr.] Mohammad Mojtahed Shabestari."